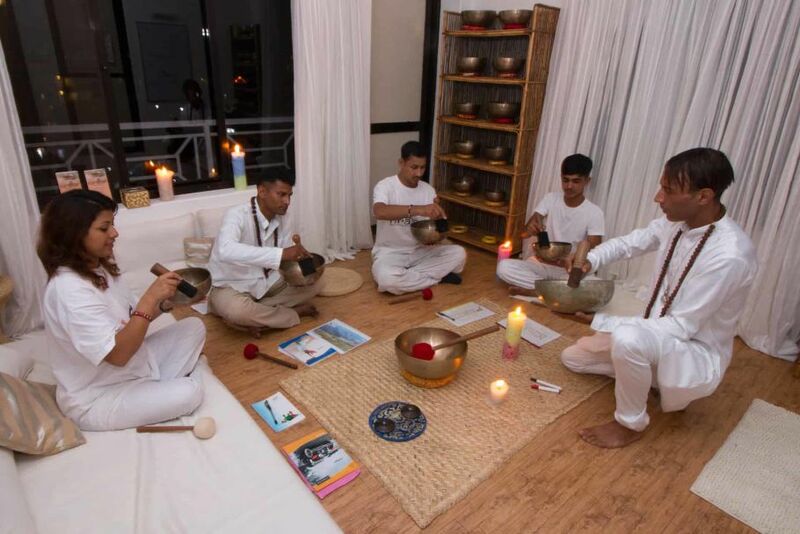 The Singing Bowls Chakra Balancing therapy is a treatment that can naturally cause chakras to self-correct. The motion of sound waves is in the form of sine waves. 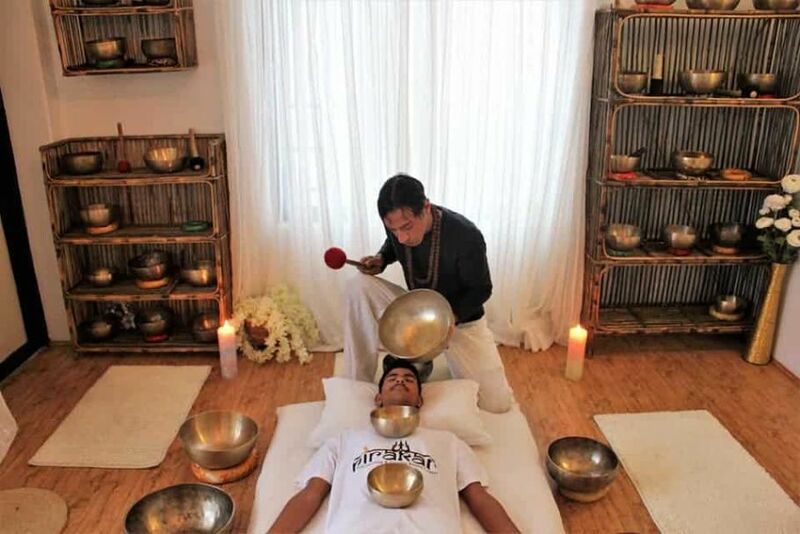 It runs correcting frequencies to the unbalanced chakra to correct and balance unbalanced chakra so that the endocrine gland and all the associated organs affected by that gland will run correctly and help to fix the body or mind needs. 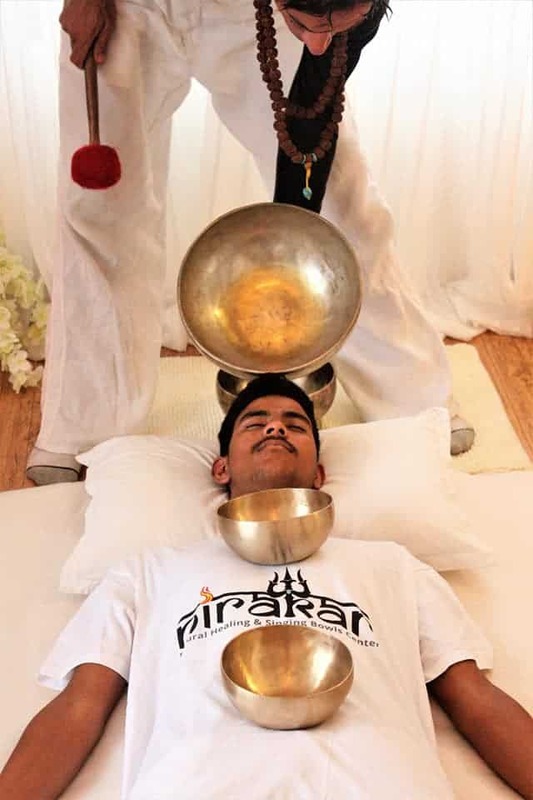 Lay down, relax and closed eyes enjoying the sound and the Singing Bowl vibration. 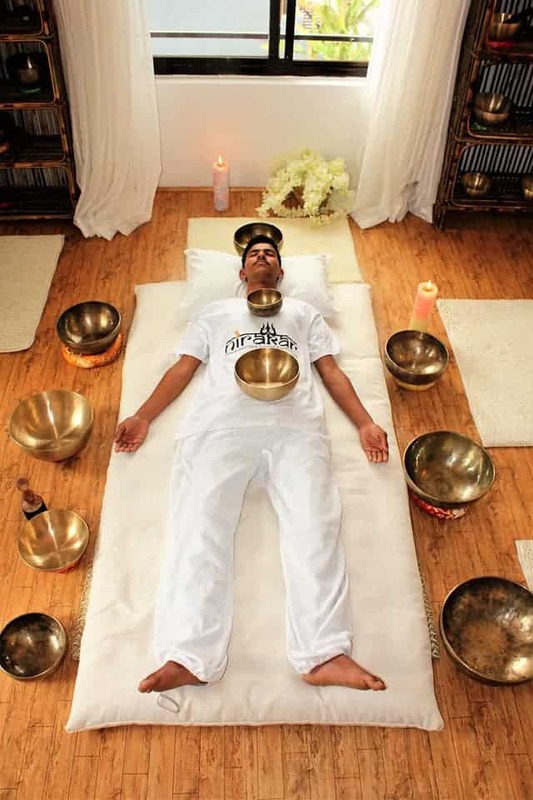 Vibration on each 7 Chakras using the all set of 7 bowls to cover the entire body inside a vibration and sound bubble. 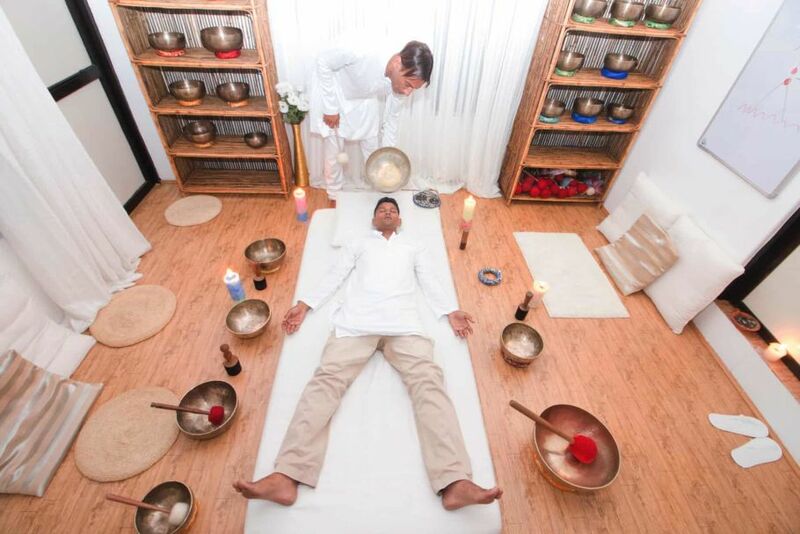 After 30 minutes treatment, you can feel chakras are linked and matched with seven plexus of endocrine glands of our physical body. Combination of aroma and light therapy to ensure your body fully relaxing and peaceful during session. Thanks you for this unique moment! I come back with the best full moon singing bol!!! My travel get memorable thanks to Nirakar center, one of the best experience i ever live. 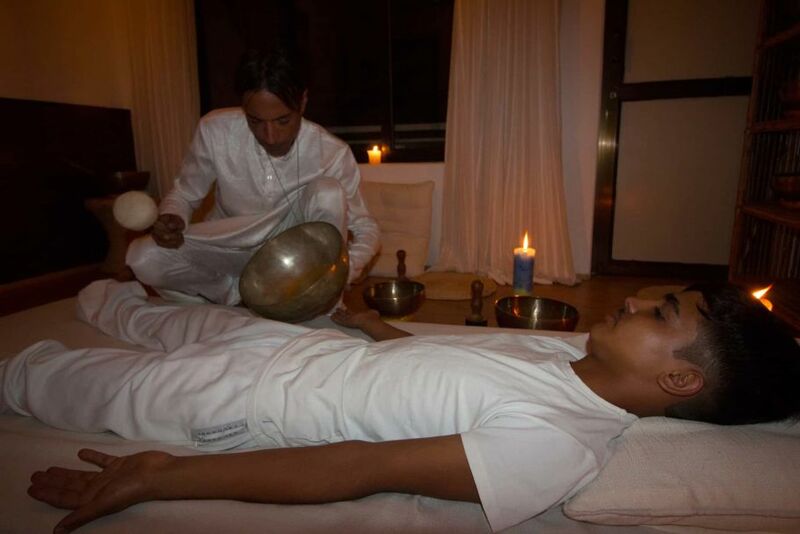 You can’t Go to Pokhara without stay to Nirakar singing bowl center. Thank you so much. I had never encountered singing ball healing before but i was really great and super effective! 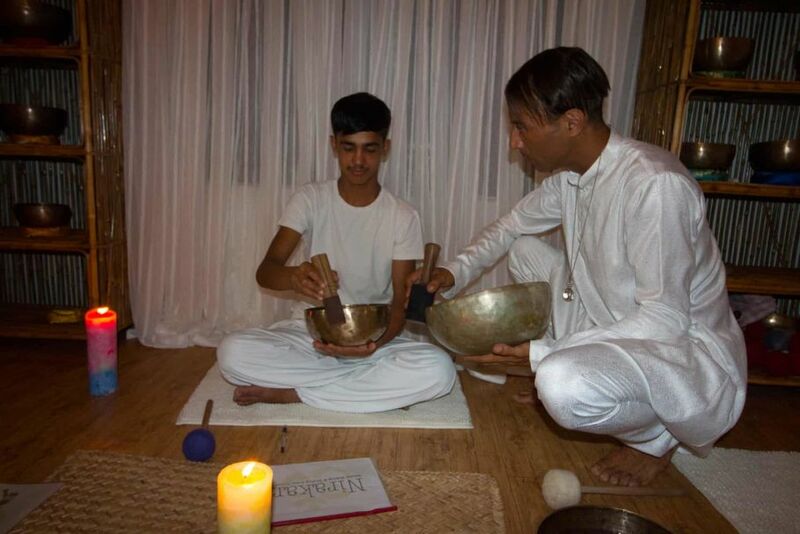 Samir the master, is really well trained and professional and furthermore he has big powers energetically! He is also the sweetest guy, that will give great advice on traveling nepal Check it out for sure! !